CORAL SPRINGS, Fla. – Bryden Macpherson of Melbourne, Australia, fired a 4-under par 68 for his second win on the Minor League Golf Tour. Macpherson edged Michael Buttacavoli of Miami Beach, 68-69, at TPC Eagle Trace, with five birdies and a bogey at the par-4 18th. Macpherson received $460 from the $1,210 purse plus $150 from an optional bonus pool and $20 in skins for a total of $630. This raised his MLGT career earnings to $9,205 in 20 starts since May, 2012. 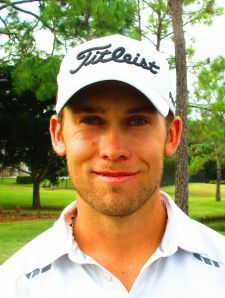 He tied for second Monday in an MLGT event at Indian Spring CC in Boynton Beach. Buttacavoli birdied the last hole to finish in 2nd place alone among 11 starters, scoring four birdies and a bogey overall and collecting $420. 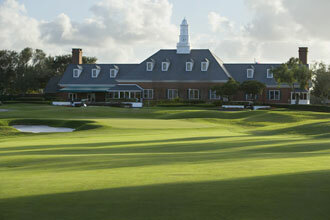 Eagle Trace hosted the PGA Tour’s Honda Classic in 1984-1991 and in 1996. In the optional 3 event cumulative bonus pool this week Jacob Eggers extended his lead to 11 shots with one event to go. All players competing in all 3 one day events this week had the option to enter the optional $200 bonus pool. Thre players chose to do it creating a prize pool of $600. First place will recieve $500, second place $100.